Locals love being treated like family, which is why they return 2 or more times a week, EVERY WEEK! 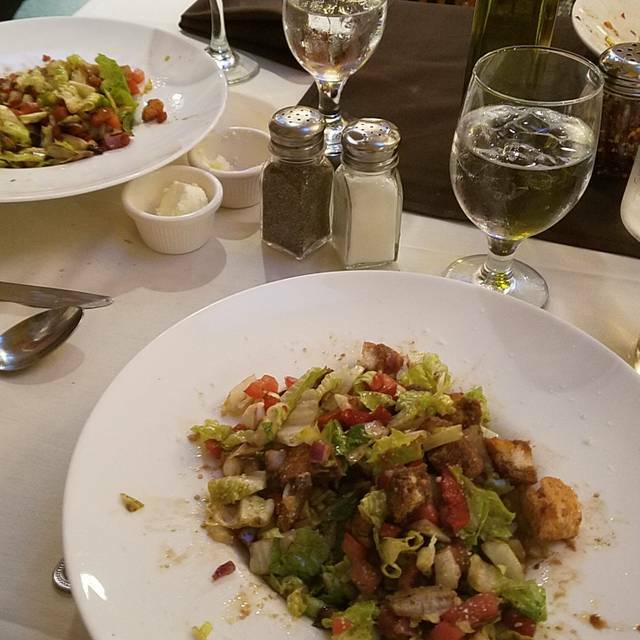 We are proud to serve a great selection of Homemade Pasta's, Homemade Pasta Sauces, and only the freshest meats, seafood, and vegetables in the market. Wondering what to have for dessert? 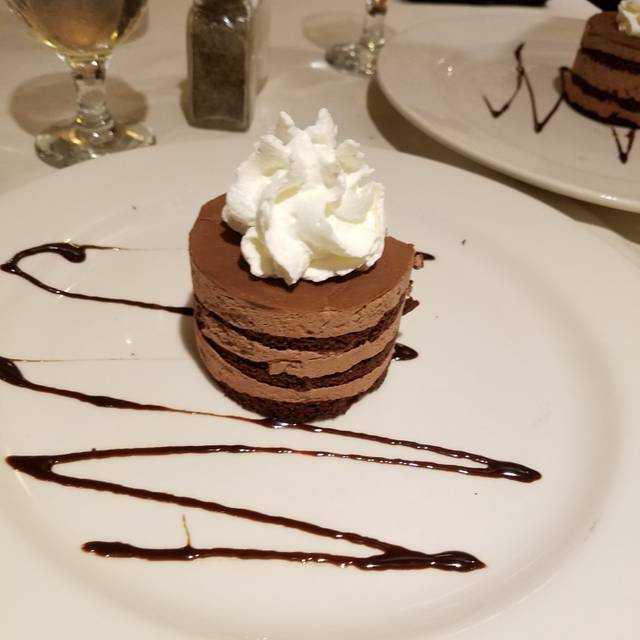 We suggest our Homemade desserts such as, Napoleon, Cannoli, Italian Cheesecake and Tiramisu. With over 100 bottles on our wine list, we take great pride in offering top wines from California all the way to Tuscany. We are also happy to offer a full service bar featuring top shelf liquors. Lastly, if you don't see it on the menu, ask and we will be glad to make it. The food was very good. We had the fried zucchini, linguine with red clam sauce, and chickenla Parma. We shared a napoleon. The isuue I had was that they crowded people in. The tables ae too close together. The waiters kept hitting my chair to get to another table. Probably better to go during the week. Wonderful staff, great food, nice crowd, consistently the best! This was my first visit to la Palma too. I was mildly impressed. The food was good the service was good and I would go back there without any hesitation. Disappointing. We made a reservation for Saturday night. This was our first time here, we had read the mostly positive reviews and decided to try it but we will not be returning. Service was probably the worst I’ve ever had in any restaurant ever. Food very average. I booked the reservation with notes that it was a birthday and I wanted a candle in a cannoli for my girlfriend. They called me 2xs to confirm the reservation and both times I told them we were good and asked if they had the special instructions. Both times they said yes, no problem. Well, sure enough we have dinner and they completely forget the cannoli and the happy birthday. Guess they were more worried about making sure their restaurant was full then making an evening special for a woman on her birthday. Excellent food and service, will definitely be back! Everything from the food, service to the ambiance was excellent. Honestly, to crowded and it very busy, waiter seemed in a huge rush, just dropped the food and ran. Food was ok, nothing great. Don't need to go back but glad I tried it. Wonderful food, great location, attentive staff and always leave wanting to come back again and again. Anthony is an amazing chef. Delicious lunch and great service. Thoroughly enjoyed the experience. The food is always delicious and the staff is friendly and attentive. A true Long Island staple. We've been going to LaParma for many, many year. Food is always great! It is now our grown children's favorite, too! Food was delish !! Thank you ! Repeat customer. Always a great meal. Love the Chicken Scarpiella. And the LaParma special sauce. Melkie was our waiter and did outstanding job! The food and service was as always...excellent! Never disappoints. We were promptly seated and served. The food was very good, with enough leftover to bring home. Great authentic Italian Food! Never disappointed! We gathered at La Parma II for our annual Holiday Celebration. Food was excellent with a wide variety of Italian dishes. La Parma serves 'family style' with large portions which allows for a classic family meal with lots of sharing and a great variety of flavors. For a busy Saturday evening, the service was quite good and always attentive. Noise levels were naturally a bit high due to a full seating but still quite comfortable. Our meals and time together were enjoyed by all. As always the food was outstanding, there isn’t a better value to quality on Long Island. Only complaint is it is always very warm in the back of the restaurant. You must try the lobster ravioli. Absolutely Delicious. Wonderful family run restaurant that truly cares about their patrons. Many of the tables were filled with regulars and the staff, especially Vincent,(the chef’s son who runs the front of the restaurant) brought over their usual drinks and apps without even being asked. Extensive menu and you can do 1/2 orders if you don’t want family style. Many vegetarian options and the zucchini linguini superb. My favorite dish is the Shrimp Anthony. My husband so enjoyed the baked clams and I loved the nice sized portion of the mussels. We usually don’t order dessert but we couldn’t resist sharing the large Tartufo. Goody bags were brought home. “Mangia” Love this place!!! Everything about the food is always perfect. Even in some good Italian restaurants, lots of things tend to taste the same. Here, every dish is distinct even though it is made up of mostly Italian staples. Whatever dish you like, you will most likely find that La Parma makes it as well or better than anywhere else. I didn’t fate the ambience as five stars but that does not mean it isn’t good. It’s family-style Italian and it’s a little crowded sometimes, but that is all part of the charm. The service however is five star, and obviously the food is as well. Its been a few years since we have been there for dinner. We went back on Saturday and it was very good. the food, service and value was all very good . Still the same huge menu and they are very accommodating. We will go back again soon.